Best to not see this if you have not already finished the game. 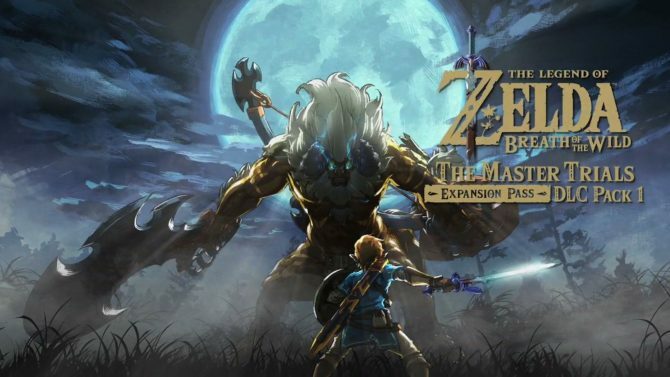 For the first time ever, a Zelda game will be receiving post launch content- Nintendo will release not just one, but two expansion packs for the game, the first of which, The Master Trials, is set to launch on June 30. The Master Trials brings in a lot of new features, but it also adds a new ‘challenge’ for Link to conquer. If you have played Breath of the Wild, then this challenge, which is shown off in the video below, will seem familiar to you- it basically feels like a full fledged Eventide Island. Apparently, completing this challenge will unlock the ‘true power of the Master Sword’, which I seriously hope does not mean that it becomes indestructible, because that would just break the game. A second expansion, called The Champion’s Ballad, is due out later this year as well. That one is a story expansion, and adds an all new dungeon to the game. It is heavily hinted that you may be playing as Zelda in that one. We can only hope. The Legend of Zelda: Breath of the Wild, and both of its expansions, are or will be available on Nintendo Switch and Wii U.